The Castelli Team Sky Perfetto 2 Light short sleeve cycling jersey is a special limited-edition version of Castelli’s Perfetto 2 jersey which was first created following requests from Pro Cyclists for a jersey that they could race in early season cold, wet weather conditions which was not as hot as the Castelli Gabba but was warmer than the Castelli Perfetto vest. Starting with the Gabba the designers at Castelli stripped this iconic garment back, shedding weight and using more breathable fabrics; they constructed the back from Nano Light - the same fabric as their Nano Flex tights but without the brushed fleece inside to give a truly breathable back to prevent overheating inside. Castelli further lightened it up by using a thinner Windstopper® front (a full 25% lighter) than the one used on the Gabba. 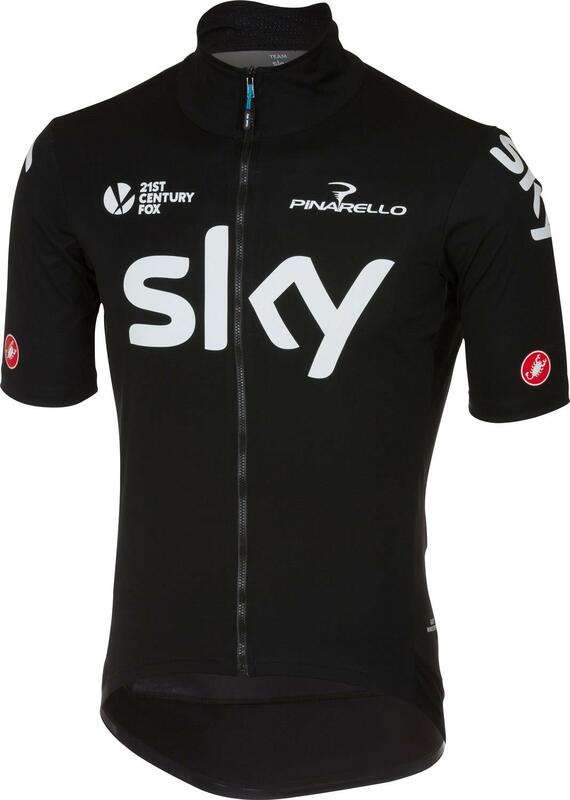 The Team Sky Perfetto Light 2 short sleeve jersey covers most of the conditions the Castelli Gabba was originally designed for (except extremely wet racing and very cold), yet it handles warmer temperatures better. The fit is exceptional, leaving you feeling secure, enclosed and streamlined which is one more reason you’ll keep reaching for it. Another arrow in your quiver, the Team Sky Perfetto Light 2 is ideally suited to cool temperatures, especially when it’s dry or there’s a risk of light rain.